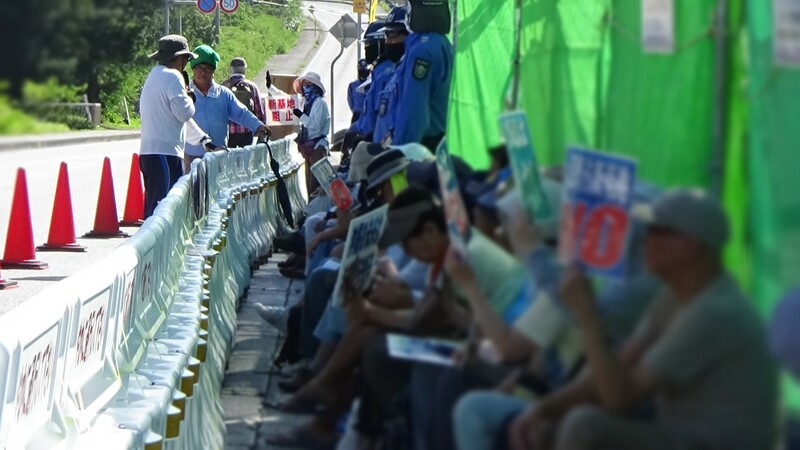 More than the usual number of people started to gather in front of the Gate from 9:00am because it was the day of the monthly meeting of the Intensive Action, the 1st Saturday of a month. In addition, the notice of the permit revocation was issued yesterday. By 10:00am, at the start of the meeting, approximately 800 people had gathered. Mr. Tamaki Danny who is the gubernatorial candidate, three diet members and the candidates running for the upcoming nationwide election of representatives for municipal council gave speeches. The meeting was closed by chanting “Fight!” three times upon a comment to succeed the late governor Onaga’s will to stop the new base construction and to win the gubernatorial and municipal election. 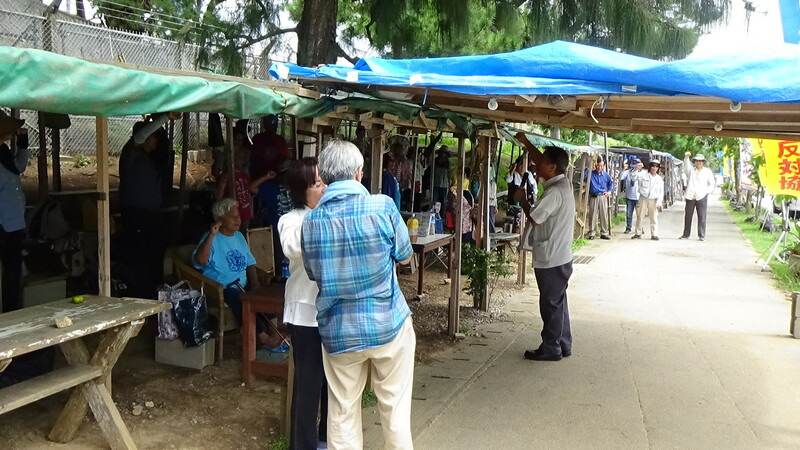 It is an important election for the future of Okinawa, democracy in Japan, municipal governance, and peace movement. 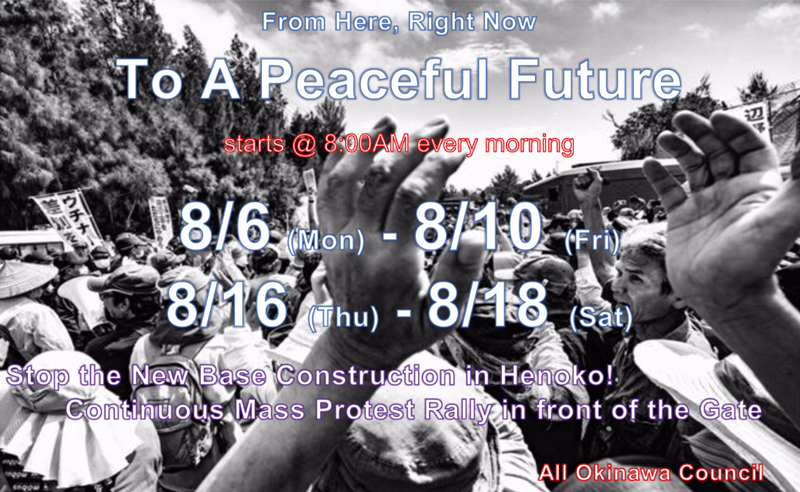 The next 30 days is especially vital for “All Okinawa” coalition to be united strong to fight. Three vessels and 17 canoes were on the sea for protest demonstration. 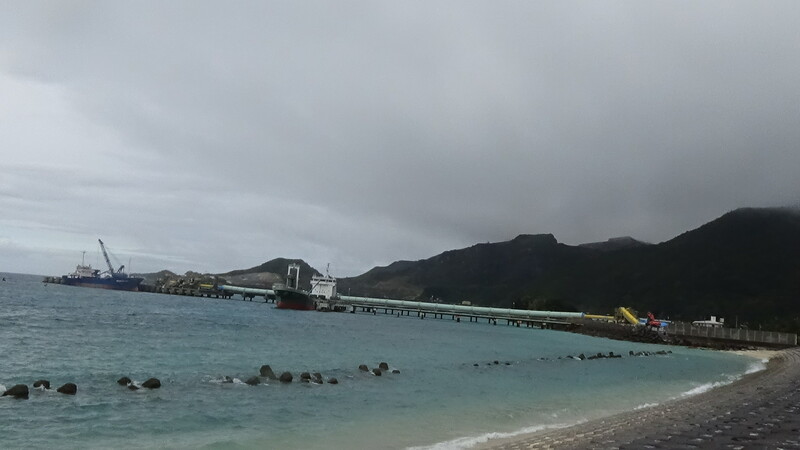 Approximately 30 people from the mainland came aboard the vessels to monitor the status of seawall construction.